We can also order your tires from Tire Rack and mount them for you. Every piece of equipment in our work area is the most technologically advanced equipment available. Our shop is a total of 20,000 square feet. 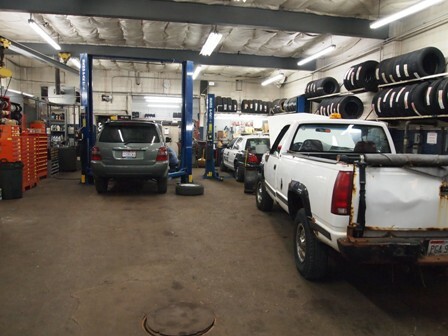 This not only allows us the additional space to serve all of your automotive and truck needs, but also provides us with the ability to repair and rebuild automatic and standard transmissions. We offer a full line of services including pre-trip inspections, generator service and repair, air suspensions, transmission service and rebuilding. We are also a Bank Service Center and can install Power Packs and Stringer Kits. Any benefits you can offer to your employees these days are valuable, especially when they don’t cost you any money! Our Metro Care Discount does just that. With this program, your employees are entitled to a 5% discount on parts and a 10% discount on labor. We also periodically deliver our discount coupon fliers to your employees, which will help them keep their vehicles in top running condition without missing a day of work! (Our shuttle service applies here, as well.